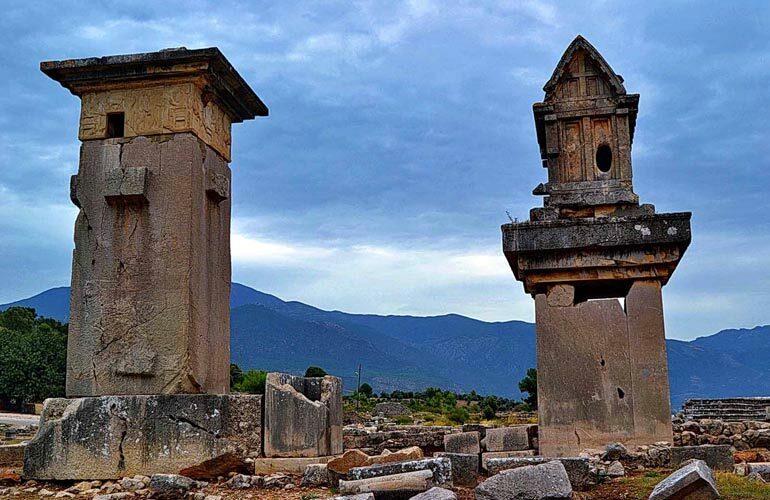 Xanthos ancient city is 12 km away from Patara, on the way to Fethiye. It is on two hills near the river known as Xanthos river. 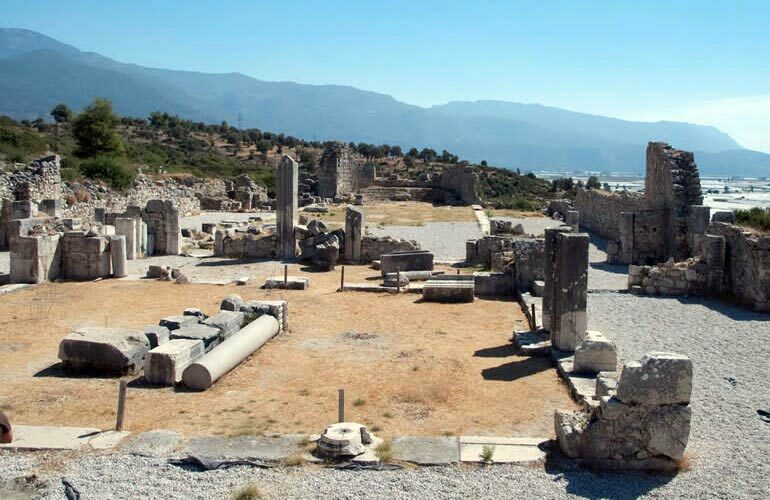 Lycian acropolis and wider Roman acropolis are next to each other. 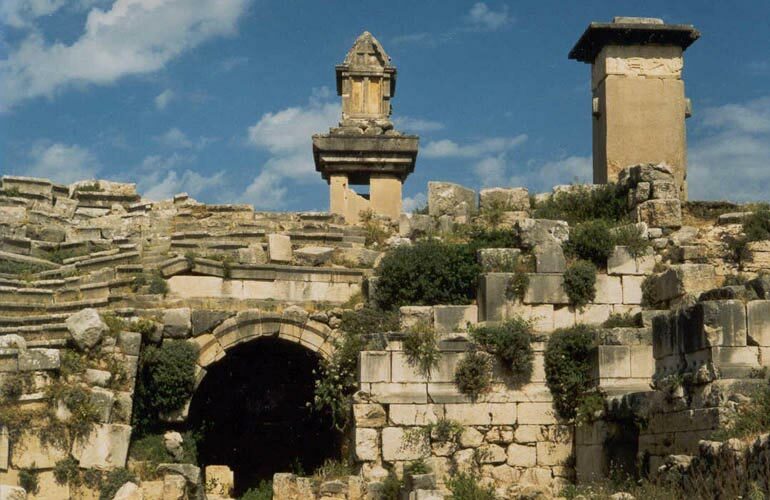 The city is refered as oldest city in scripts of Trojan war where Sarpedon and Homeros (Xanthosean) were participated. In the year of 546 BC Persians under the leadership of Hargapos surrounded the city. After big resistance when all the hopes are gone Xanthoseans burned their city and commit a mass suicide rather than being captured. After years the city is raised by the people who were not there at that time. Around 450 BC the city is suffered from a major fire disaster and after that city make big improvements. 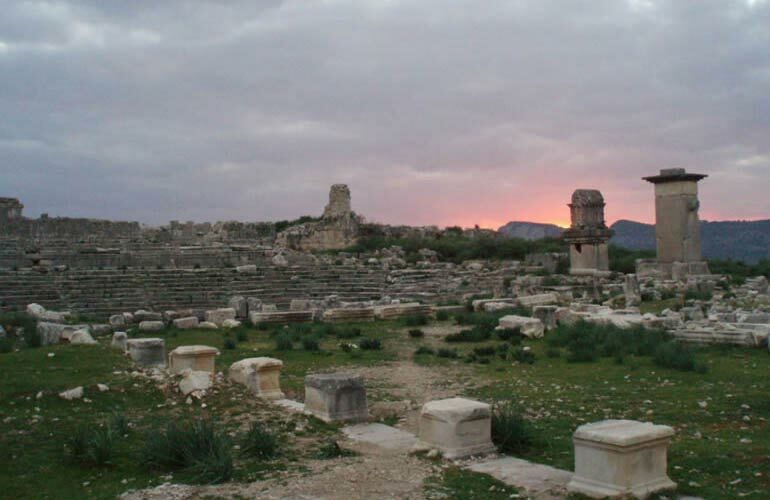 In 2 BC Xanthos became the capital of Lycian Union howevet, it is destroyed by the Roman in the year 42 AD. The Roman reconstruted the city and most of the remainings seen today is from that time. In the Byzantine time city was the centre of episcopacy and gained many new structures. The most interesting ruins of Xanthos are located west of the theatre. A high monolitic rectangular piece, on a pedestal over a dead family. There are bird like winged creatures carrying souls to the sky. It is believed to give Harpy relief. Original of this block is exhibited in the British Museum and it is dated as 5th century BC.